Muscle & Fitness brings you the essentials of serious fitness training aiming to help you maximize your potential. Buy a single copy or subscription to Muscle and Fitness magazine. A subscription to Muscle & Fitness magazine brings you the essentials of serious fitness training aiming to help you maximize your potential. With strength and fitness training for every body type, diet plans and strategies for men and women; expert tips and advice for every fitness level. When the time comes to take training even more seriously Muscle & Fitness will show you how. Muscle and Fitness comes up with regular features on fitness training. The magazine gives the essentials of serious fitness training. Along with nutrition topics, the magazine also deals with diet plans. In short, the magazine takes you to the world of bodybuilding within no time. 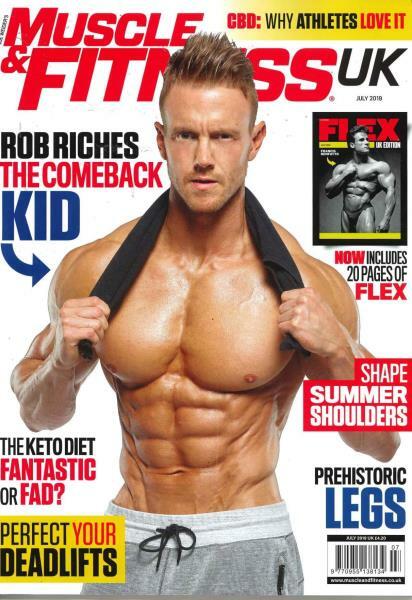 For monthly expert advice on your Body Building regime, place a magazine subscription to Muscle and Fitness. An essential read for any Bodybuilder.